There’s a difference between temporarily exhausting the amount of hot water your water heater has available, and experiencing chronic difficulty getting it to provide hot water at all. If the system isn’t providing enough hot water for even so much as a ten-minute shower, then you should probably consider installing a new one. That often happens when the wear and tear on the system becomes so great that it cannot consistently heat water anymore. It could also be caused by less serious issues, though, which is why you should make sure to contact a professional to examine the system for you. Water heaters break down less frequently than heating or air conditioning systems, but it still happens. 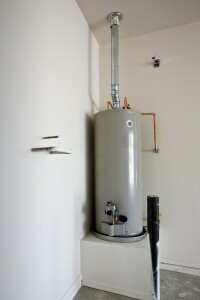 You should be especially concerned if your water heater starts breaking down very frequently, like around once a year. That level of frequency in developing problems often indicates that the system is getting close to the end of its life. The wear and tear on the system is causing the parts in the water heater to break down more frequently. The longer you use the water heater without replacing it, the worse the issue will get. The typical water heater can be expected to last anywhere from 10-15 years. After that point, it will become more and more likely to develop all kinds of issues that will prevent it from operating in a cost effective way. If your water heater is older than 15, we highly recommend that you consult with a professional technician about installing a new one. You’ll save much more money in the long run, and you won’t have to deal with the hundred little inconveniences that an older water heater like that imposes. Do remember that the points outlined above are just guidelines for deciding whether or not your water heater is in need of replacement. Don’t make any big decisions about it until you’ve at least had a chance to talk to a professional technician in person about it. Pipeworks Inc. installs and services water heaters in LeRoy, IL. If you need a new water heater installed, contact us today to schedule an appointment with one of our professional water heater technicians. We provide a full range of water heater services to meet all your needs.